Do you want to make a difference in the world? Do you like creating communities that bring people together? If your answer is yes, then the Geller Leaders Program is for you. 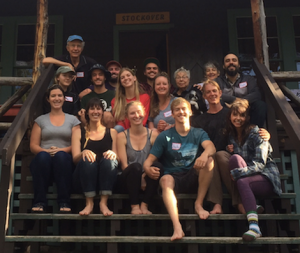 The Geller Center supports young adults and emerging leaders to develop the foundation they need to build communities dedicated to peace and justice. From hosting a book club or dinner party to creating a non-profit organization, we can support your passion. Fill out the application that describes the vision for your project. Meet with the Program Director to discuss your application at the start of the semester and throughout the course of your project. Submit a project plan launching the project and a project summary at the end of the project. Keep track of successes and challenges. Collaborate with other Geller Leaders to learn from and support one another. Present a progress report to the Geller Board of Directors. Attend the annual Geller Celebration event in May and share your project. 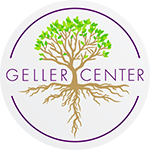 The Geller Center will provide you with the support you need to develop your skills, relationships, and wellbeing as a leader for change. From a large pool of resources to mini-grants to support your project, we look forward to growing together and helping you develop a foundation that you can take with you into adventures and challenges that you will tackle in life. We look forward to meeting with you! Questions? Contact Darrick Hildman at programdirector@gellercenter.org.